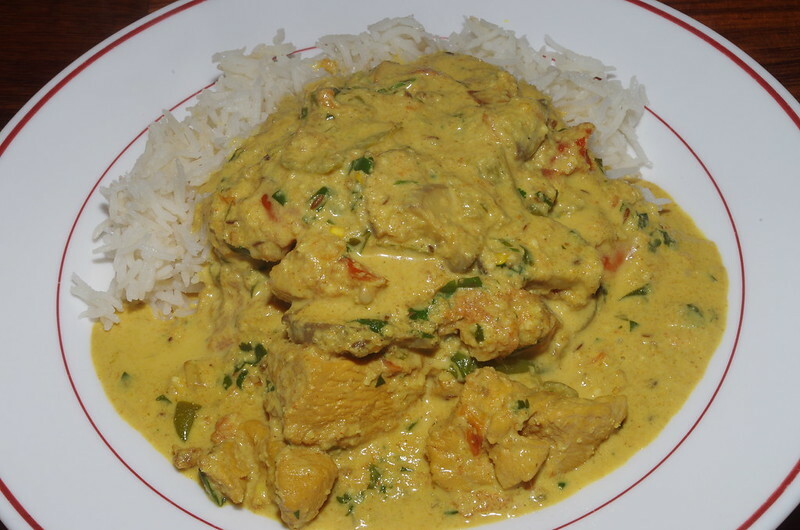 Korma – a much maligned and unfairly abused dish. 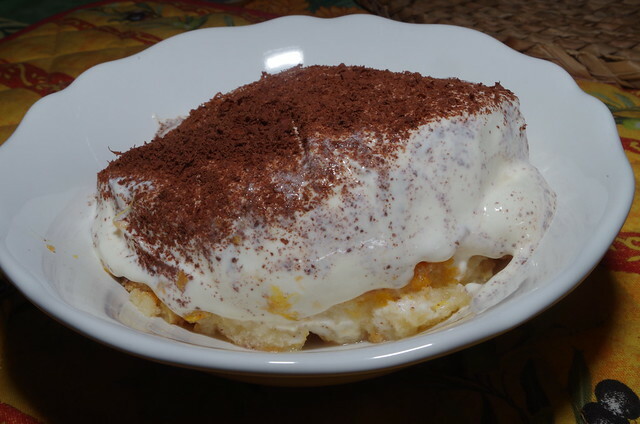 How to make a nice easy dessert without much effort at all. 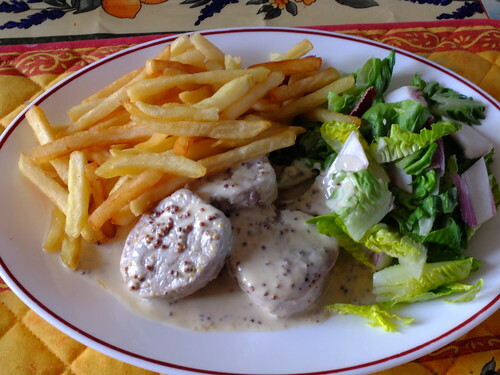 Pork medallions in a cream and mustard sauce, a photo by La belle dame sans souci on Flickr. I haven’t been posting much for a while, pressures of work and other things, like being away on holiday. Anyway, last night I cooked this dish and it too about 15 minutes from start to finish. The chips were frozen ones given a blast in the deep fat fryer and the salad was just Little Gen and red chicory without any dressing because I wanted the leaves to soak up the sauce. The pork was cut from the fattest part of a tenderloin, seasoned and simply sautéed in an iron pan with butter and some neutral oil (I used grape seed oil) for about three minutes on each side. The meat was put to one side while I made the sauce. I added half a glass of white wine and let it bubble down (n.b. never use cider in a cast iron pan, the sauce ends up black from the acid in the cider), then I added in two teaspoons of whole grain mustard and some cream, stirring so it was all amalgamated over a highish heat. Then I put the meat back in the pan and let it cook for another couple of minutes on a low heat. 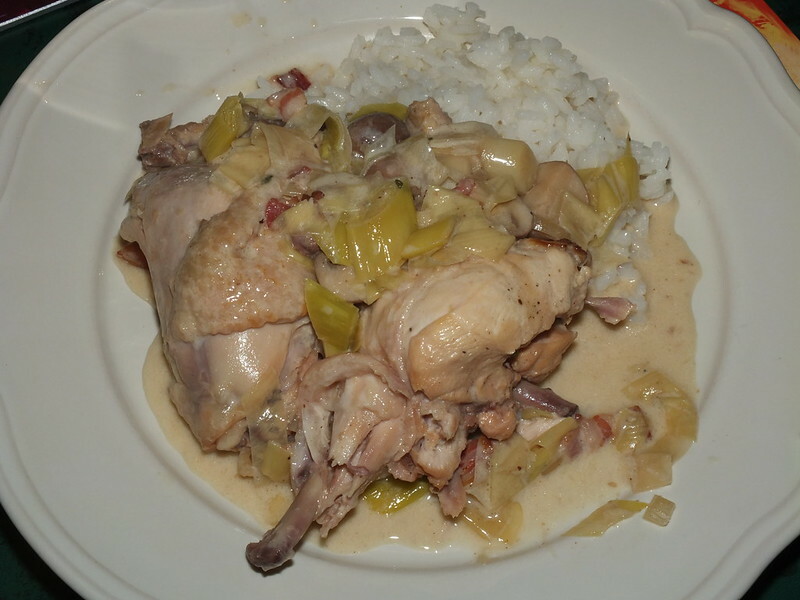 Normandy-style pheasant breast, a photo by La belle dame sans souci on Flickr. 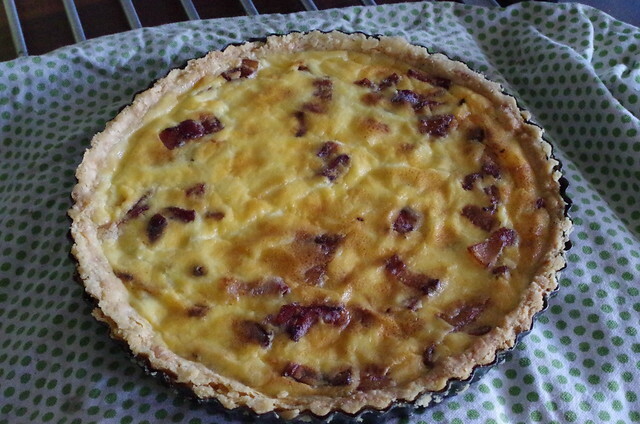 Norman cooking uses the local ingredients and the most important ones are dairy produce and apples. In practice that means, butter, cream, apples, cider and calvados. Pheasant is surprisingly cheap these days, so this is by no means a luxury dish, although it is a pretty classic combination. I sautéed the seasoned breasts in butter for about three minutes on each side and left them in a warm oven to rest while I made the sauce. I sautéed some cubes of Cox’s apples in the same butter that I’d used for the pheasant and then flambéed them with a good glug of calvados.Once the flames had died down, I added some crème fraiche and the juices that had come out of the pheasant while it was resting. 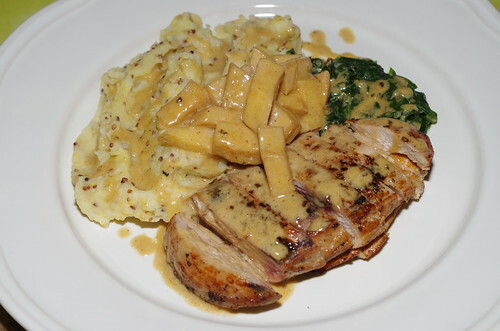 Once the sauce was amalgamated, I served the sliced breasts with mustard mash and some steamed chard, with the apple pieces and sauce spooned over the top. 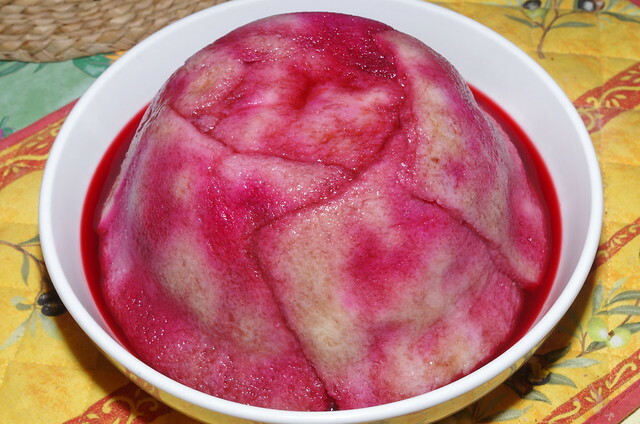 The whole thing took about 25 minutes to prepare and cook and was delicious.